Kraftwerk is the first album by Kraftwerk. It was released in Germany in 1970, and produced by Konrad “Conny” Plank. This did not appear in the UK until after their 2nd LP was released and only then as part of a 2 LP set that included their second album. 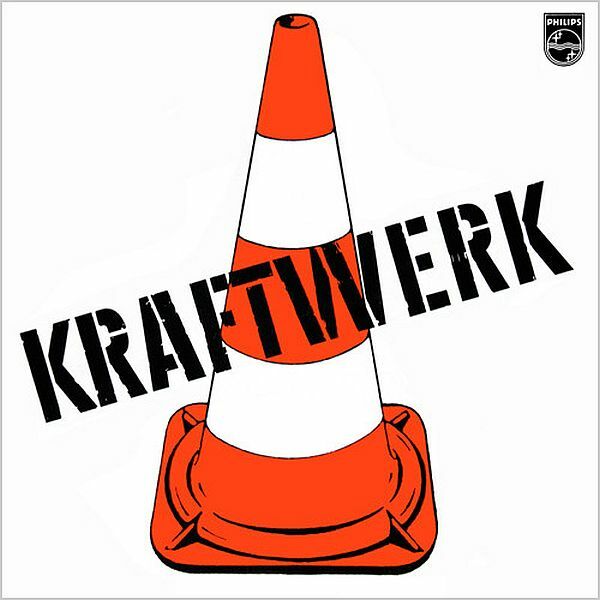 Kraftwerk have not performed any of the tracks contained in this album since their 1975 tour and they appear to be reluctant to include it in their back-catalogue. All the tracks on the album are instrumental. “Ruckzuck” being the closest to anything that could be called a “rock” style of music. This track was used as the theme tune for the now defunct show Newton’s Apple in the United States, being used without permission. Later episodes feature a cover version of the track. The cover, showing a red cone, drawn in the manner of Andy Warhol and is probably a nod toward him and the contemporary pop art music of the time. Why a cone? The word “Kraftwerk” is German for power station and therefore is probably being used to convey the idea of “men at work”. 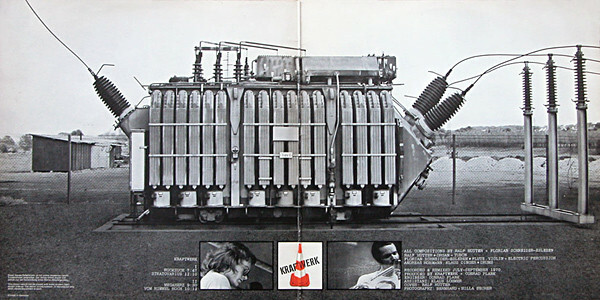 The image on the inside of the gatefold sleeve is ny the German conceptualist artists Bernd and Becher.